So you just lost hope on ever seeing a good Sonic game again? 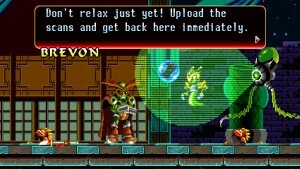 You might wanna have a look at "Freedom Planet" then! 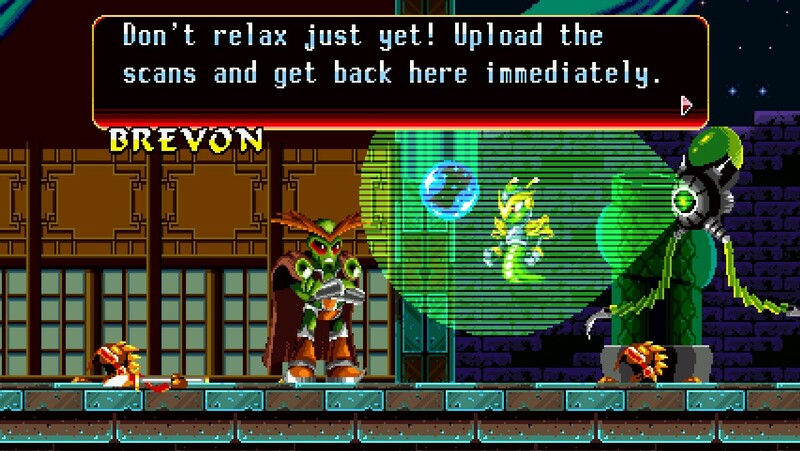 As one of the rare Kickstarter success stories, “Freedom Planet” quickly distinguishes itself from the masses of mediocre plattformers. The game is a well-crafted homage to Cave Story and Sonic the Hedgehog which doesn’t even bother to hide its heritage. If you ever enjoyed those classic, straight-forward, high quality plattformers that seem so rare nowadays you will instantly fall in love with this game. And there is quite a lot to enjoy here: a highly anime-inspired setup of illustrious characters, cheesy but entertaining voice acting, eye-winking dialogue lines, upbeat music and very speedy gameplay that pushes you through vast and diverse levels at breakneck speed. This game shows attention to detail in every aspect and indie developer Galaxy Trail shows, how a good platformer revival should look like. Brevon and his goons are quite charismatic and memorable. The story may be simple, but the way it’s told will keep your attention. 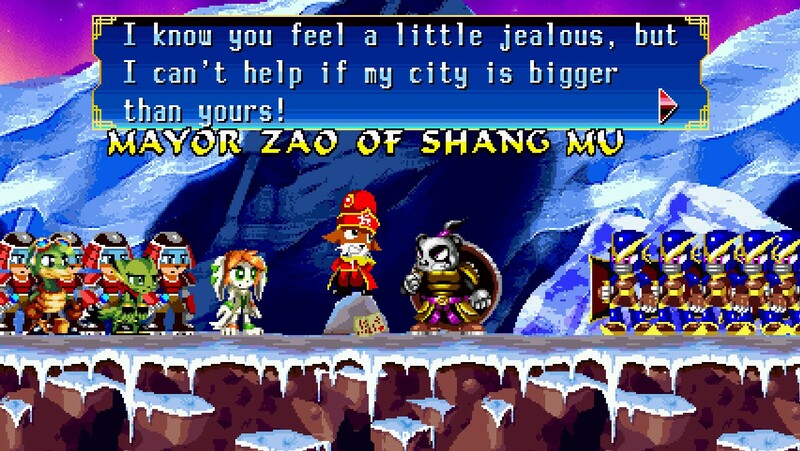 The story of “Freedom Planet” is not a complex one, but good enough to keep you interested and motivated throughout the whole game. Evil space-general Brevon lands on planet Avalice, which is inhabited by a strongly asian-tinted culture torn apart by an energy crisis. An old relic the “Kingdom Stone” is said to bear a peaceful solution to the three parties in conflict, but none of the parties knows how to use it properly. As Brevon steals the stone to power his crashed battleship, full-on war is about to emerge as the factions blame each other. Against their will, the cheerful young heroines Lilac and Carol get thrown into this conflict and are soon pushed on their quest to stop the evil general. Brevon’s motives are not clear at first, but as the story unfolds it’s quite obvious that he’s not a 1-sided a character as he first appears to be. With his “end justifies the means” approach, Brevon is quite the charismatic foe, capable of standing toe-to-toe with the likes of Wily and Dr. Eggman. 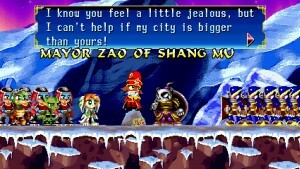 By now you may have noticed that the story of “Freedom Planet” is not really bristling with originality, but the game does a great job at conveying emotions through fully voiced dialogue and entertaining humour. The cut scenes at the end of each stage feel both rewarding and somewhat chain the levels together, though not always seamlessly. Thanks to a very reduced set of memorable characters you quickly feel immersed in the storyline, always urged to complete the next level. The humor is downright tongue-in-cheek, but sprinkled with subtle references and funny homages to older games and gaming culture in general. 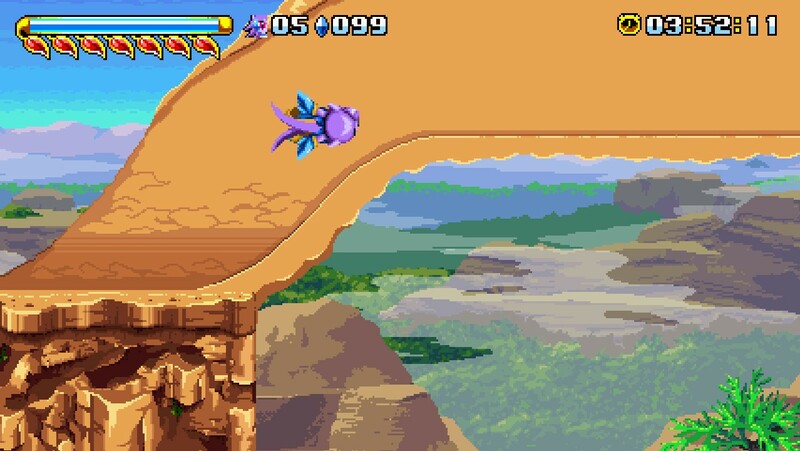 It’s a rare feat that you instantly feel so involved with the characters and plot in a platformer, and – given that you can cope with the colorful setting – “Freedom Planet” does deliver great moments in spades. Levels are diverse and coloruful, offering you you alternate paths and fun mechanics. 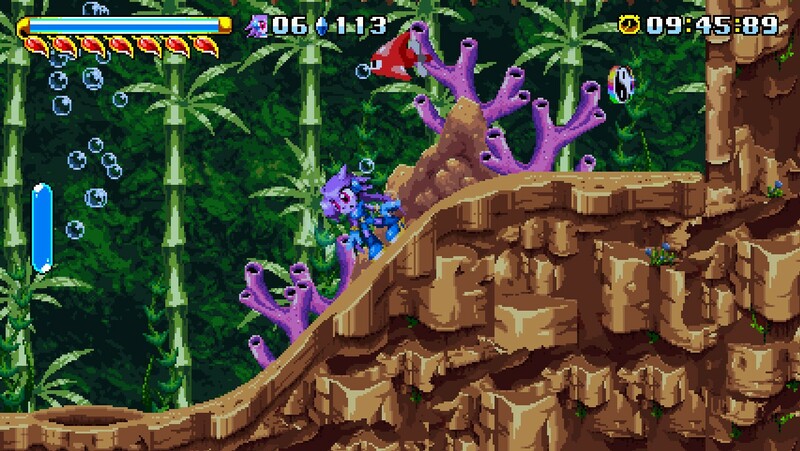 When first started, the handling of “Freedom Planet” instantly reminds you of the old 2D-sonic games. Both playable characters Lilac and Carol (which you chose at the beginning and play through the entire game) feel different in how they handle but instantly make you feel at home if you ever put hands on a Sonic game. And the references don’t stop at the controls: the level design is also built for speed, with many slopes, jump-pads, tunnels and looping build in to always keep you at your toes. While not always as quick as the blue hedgehog, the characters still feel very agile and powerful, and thanks to the fluid mechanics and responsive controls you’ll always find yourself in control of the happenings on-screen. All Levels are beautifully crafted and as diverse as they can get. From wide mountain ranges to airships to hidden bases: each level has a distinct color scheme and mechanics that keep the gameplay fresh throughout your whole stay. 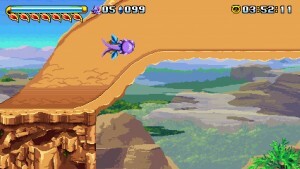 Levels are also very huge, inviting you to explore for hidden secrets which unlock gallery items. Since both characters control very different and are capable of each reaching different areas, you might want to revisit older levels again to fully explore them. Slopes, tunnels, spring-pads – this game doesn’t even try to hide it’s obvious heritage. Most levels are catered towards the “Sonic” audience and allow for fun high speed moments. As a tribute to older games it goes without saying that each level confronts you with smaller mini-bosses and a big foe to overcome at the end. Learning the patterns of these foes and mastering your characters invincibility frames is vital to success, as the game’s difficulty curve rises noticeably over the total length of 5-7 hours (depending on your chosen difficulty and skill level). While feeling rather hard and punishing at times, boss-fights are always following a clear structure and don’t rely on unfair mechanics. Same as in the old games it’s simply up to you to endure the many on-screen deaths, as the following victory will feel all the sweeter afterwards. In terms of sound this game is also not letting you down. All dialogue lines are voiced on a high level and you can feel that the actors were standing behind their characters. Each of the game’s levels has a unique soundtrack to it which fits the mood just perfectly. From upbeat cheerful music to trance-like beats towards eerie and gloomy cut scene music there is a lot of variety to experience. Same as the music, sound effects are nicely tied in, rewarding every bounce, jump, attack or power-up with a rewarding clip. Sometimes the volumes may be a bit off or a music piece is starting a bit too soon, but shortcomings like these are far and in-between. All cutscenes are nicely voiced and funny to watch. It always feels rewarding to complete a level just to watch the story progress. Overall there is very little to nitpick on “Freedom Planet”. The graphics may be very small in resolution, but look quite good and detailed even when scaled up to full screen. Animations, gameplay, storytelling and level design are all provided with a high quality level from start to end. You barely will find any boring or repetitive moments in this game, as each level is spacious but short enough to be completed within a few minutes time. If you’ve been looking for a good “old” platformer in the best sense of the word but always felt disappointed by the recent Sonic releases, look no further but treat yourself to this great title!